Hear Fr. Roy Bourgeois, founder of School of the Americas Watch, speak powerfully and from personal experience about why the SOA must be closed. 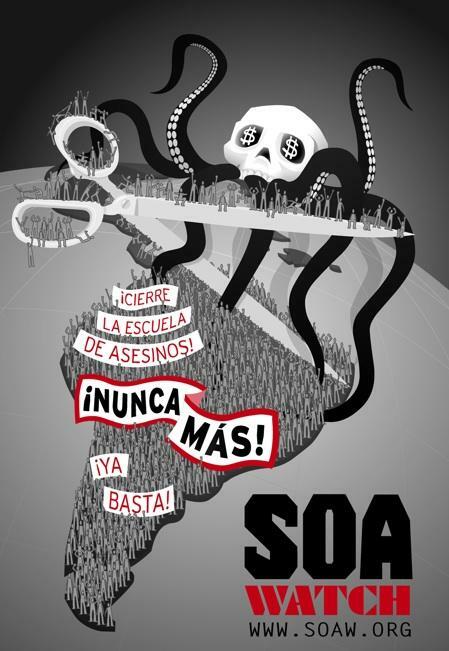 The School of the Americas, in 2001 renamed the �Western Hemisphere Institute for Security Cooperation,� is a combat training school for Latin American soldiers, located at Fort Benning, Georgia.